A 53 Year Wait Ends. | Come Here To Me! « Thomas Clarke’s Shop, Parnell Street. A 53 Year Wait Ends. 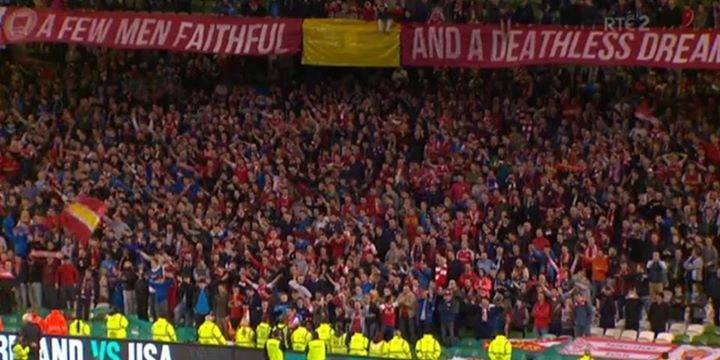 ‘ A Few Men Faithful And A Deathless Dream’ – Saint Patrick’s Athletic fans in Lansdowne Road yesterday. I expect this 1961 final to be a hard-hitting affair, for there are men on either side who can make the going very tough should occasion demand, and with its all-Dublin atmosphere and the tension natural at this stage of the competition, I expect plenty of excitement. 22,000 people watched Saint Patrick’s claim a 2-1 victory in Dalymount Park on that occasion. Was it the brilliant match anticipated? No, but they all count don’t they? The FAI Cup was handed to Pats captain Tommy Dunne by Oscar Traynor, a veteran of the 1916 Rising who was juggling being Minister for Defence with being President of the Football Association of Ireland. The front page of the Irish Press the day after the final reported that Patrick’s fans had paraded through the city following victory, with red and white scarves and hats to be seen everywhere. 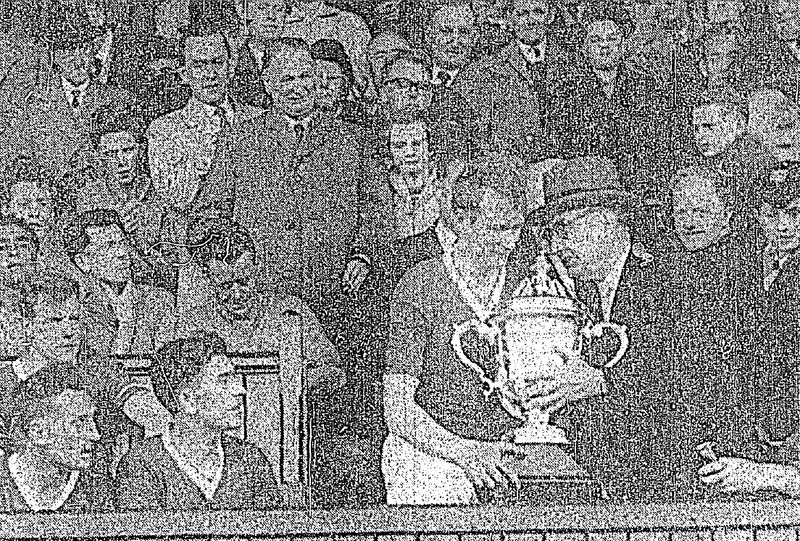 Oscar Traynor presents the FAI Cup to Saint Patrick’s Athletic in 1961. 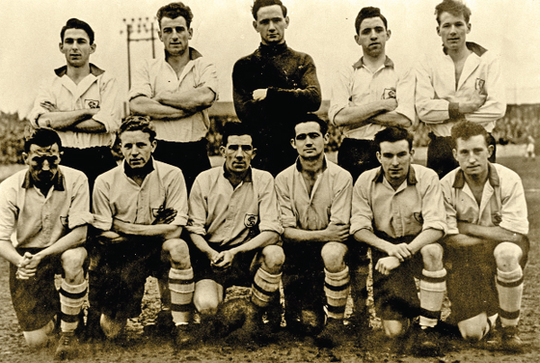 Since that day of success in 1961, Saint Patrick’s had lost an impressive seven FAI Cup finals. At 17,038, the crowd yesterday was significantly smaller than that which saw Patrick’s lift the cup in ’61, but there were plenty of people who stood in both crowds. To mark the occasion, here is a brilliantly edited video capturing the rollercoaster that was yesterday for me and many other Saint Patrick’s Athletic fans, shot by Peter O’Doherty. While I don’t fancy another half-century, I’m happy enough not to deal with the trauma of an FAI Cup Final for a while at least! Somewhere between John Gilroy and Diageo, a wise marketing man in Guinness decided that ‘Good Things Come To Those Who Wait’. For Pat’s, the wait is finally over. FAI Cup Final 2014 – Short from Peter O’Doherty on Vimeo.